There’s never a boring day at custom hot rod shop Bones Fab, located in Camarillo, California. If you missed our previous Bones Fab shop tour, click HERE to learn how they create rolling works of art. A highlight of my latest visit was an orange Nova that had just been fitted with an LSX 454 crate engine. This is a personal project of shop owner Jim Bassett; he’s completing the car for a friend who is currently battling cancer. 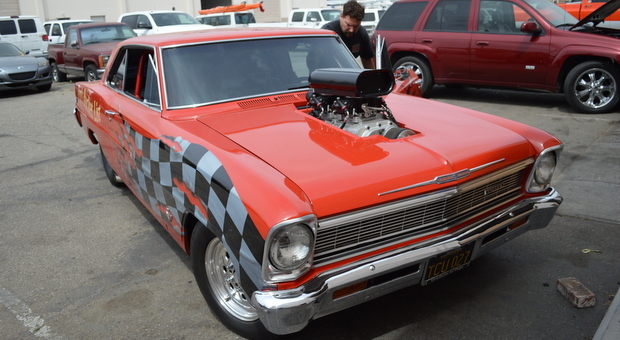 Just outside the shop was an NHRA-spec Chevy II/Nova that had come in to get a little more boost. This car was all about going fast. A quick glance revealed a Chris Alston’s Chassisworks frame, a Weiand blower, and an Aeromotive fuel rail system, along with a tubbed rear end sporting some wide rubber. 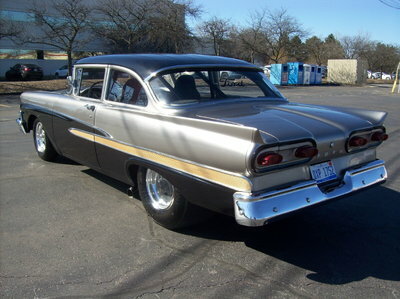 Special thanks to Mike for letting me hang out with him as he wrangled the Chevy II on the dyno. Stay up to date with Bones Fab‘s adventures on their website and Facebook page. Did I miss the part where he shows the numbers? Beautiful machine. Sounds awesome. What’s the point of a dyno video without the results??? The dyno computer was having issues, so unfortunately, there were no results.